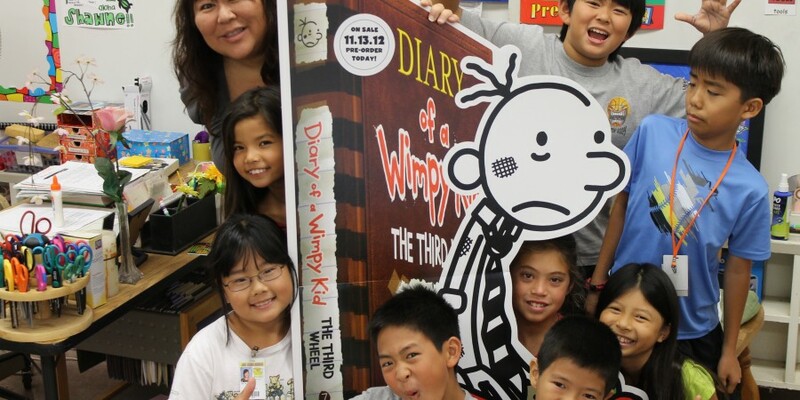 Posted on May 21, 2013	by Picture This Great Teaching	in Elementary School	with Comments Off on Kerry L.
My teacher, Mrs. Imada, inspires me when she teaches our class new reading and writing projects with so much love and enthusiasm. She gives our classroom a positive energy and encourages us to be creative. She makes us want to learn and makes it fun for us at the same time. We listen to each other and share ideas. She is special because she makes each of us feel unique and special. She works hard on many others school projects too, such as the yearbook. Mrs. Imada makes a difference in kids’ lives. Teachers like her make me want to go to school and be the best writer I can be!